Carry Greenham Home. Directed by Beeban Kidron and Amanda Richardson, UK, 1983. Sophie Brown is a critic and programmer. Her current writing project is Doctooth. Find her on Twitter at @SBrown400. The power of voice drives this film, an observational documentary that captures both the spirit of the ground-breaking Greenham Common Women’s Peace Camp and the experience of a space created by and for women. 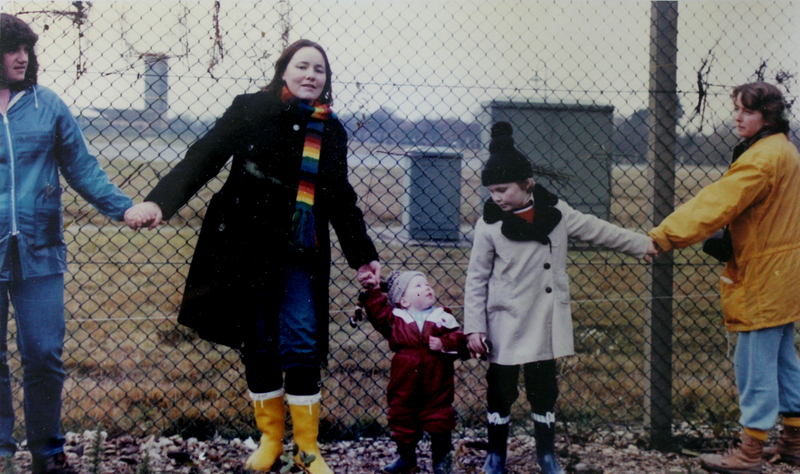 Carry Greenham Home celebrates the joyfully fierce defiance of the protestors against systems that don’t care for human lives, let alone the future of the planet, and explores the necessary work that comes with creating new ways of living. They are gentle angry people, singing for their lives. “Can you keep it down a weeny bit please, otherwise they won’t hear me,” pleads an infuriated news reporter outside the court, as their noise interrupts her work. The heated clash raises questions around the importance of being palatable for the media, and the lack of respect for acts of civil disobedience. 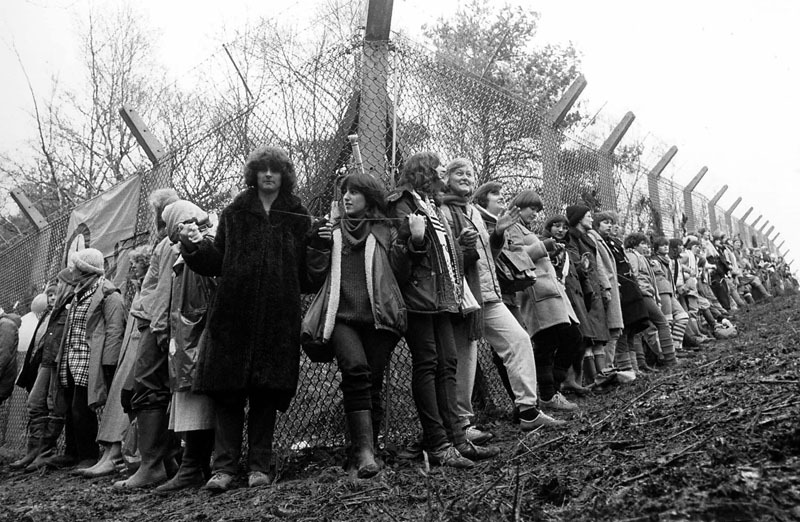 For 19 years Greenham Common was a camp, where women lived and protested against the use of the site to host nuclear missiles. The film observes women trying out alternative systems to exist together. There are clashes, dissonances and varying scales of radical beliefs, but they work hard to uphold their shared goal of peace. In a striking act of disruption, the women jubilantly clamp a bike lock around the site’s entrance gates. The response from the guarding policemen is initially good-humoured. They remain glibly collected, confident in their ability to dismantle whatever these women throw at them. With the sense of patronising long-suffering patience, a policeman strolls over with the bolt-cutters. However, their trusty tool is not so effective. They get a bigger one out. Women giggle off-screen and rejoice with a slow song, cheering on the men’s increasingly drastic measures to overpower the lock, as if enjoying the entertaining, and escalating, performances of masculinity. The men resort to brute force, ripping the gate off as opposed to waiting for more powerful apparatus to peacefully remove them from their pickle. Carry Greenham Home builds with tense, emotional force as the women repeatedly, non-violently, put their bodies in the way of brutal authority, and draws attention to the blind trust that the general public put in a corrupt system to protect them. The womens’ songs are powerful, haunting reminders of the phrases that have carried into today’s protests, such as ‘Reclaim the Night’. The truths that are voiced need to keep being told and their folk music form reflects their timelessness. The message sung by Kidron’s sister Cassie resonates loud and clear, “you can’t forbid my tears to flow, and you can’t shut my mouth when I sing.” And the sound never stops.